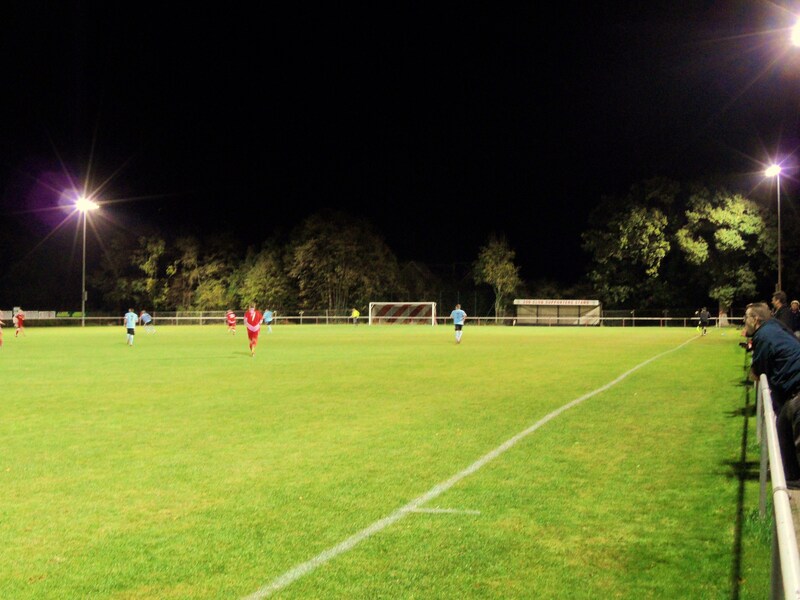 About The Haven Crawley Down’s ground is modest, yet perfect for their level. The main clubhouse, the Haven acts as the centre for social activities in the village and has an ample bar with huge projection screen TV with Sky Sports. Inside the ground there is a temporary covered small stand with three rows of seats, and a small covered temporary terrace behind one goal. Apart from that it is standing along the pitch side. There is a decent food servery where cups of tea come in mugs and they cook the food to order. How to get to The Haven From the North or West, head around the M25 to junction 7 and then down the M23 towards Gatwick Airport. Turn off the M23 at Junction 10 signposted East Grinstead. At the roundabout at the Copthorne Hotel, take the 2nd exit, signed A264 East Grinstead. At the next roundabout (Duke’s Head) take the 3rd exit, B2028 south, toward Turners Hill After approx. 1 mile turn left into Sandy Lane. (just after entering the 30mph zone and a telephone box in the layby on the right). At the end of Sandy Lane (war memorial on the right), turn left signed Felbridge.After a couple of bends the Haven Centre is on your left. From the East: Travel through East Grinstead on the A22 until the Junction with the A264 at the Felbridge Traffic lights. Turn left (Sign posted Crawley) and after 100 Meters take the Left Fork towards Crawley Down. Approx 1.5 Miles Haven Centre on Right. From the South: Travel north through Turners Hill on the B2028 after approx 2 Miles take the 2nd turning on your right (Vicarage Road). This is a right fork and is sited just after passing over a small bridge. Follow Vicarage Road for approx 1/2 Mile past Junction with Sandy Lane and The Haven Centre is 200 Meters on your left. There is ample parking at the ground assuming there are no other events on in the centre. Alternatively street parking is free off Sandy Lane. The nearest train station is East Grinstead or Three Bridges which are both around 3 miles away. A taxi should cost just over £5. Admission to the Haven Admission is £8 for adults and £4 for concessions. Programmes are available on the turnstile for £2. You need to keep your ticket if you are going out to the bar at half time to gain re-admission. 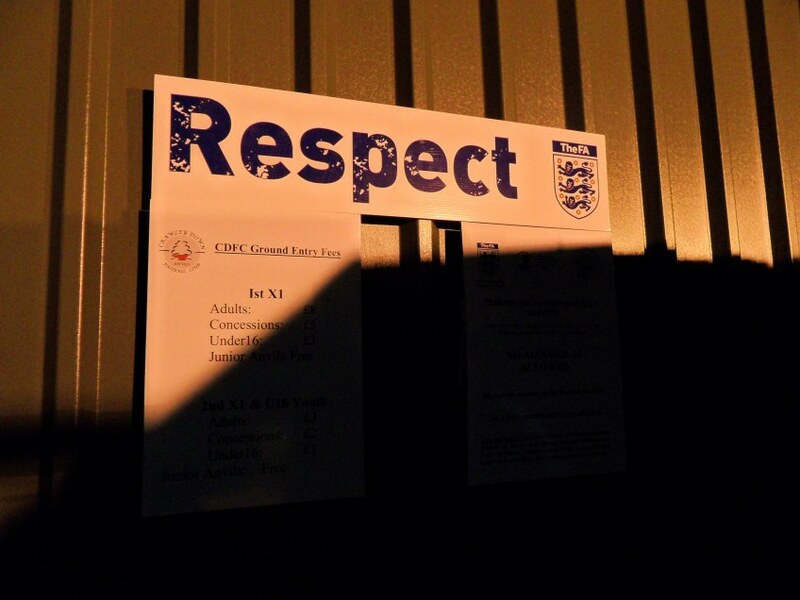 Our last visit – October 2011 Crawley is a swear word in Non League terms. The funny thing is that this is a relatively recent situation. In fact only three years ago when I last visited the Broadfield Stadium the “old” Crawley, the one that had risen from the ashes of administration, were poised to go top of the Blue Square Bet Premier for the first time in years if they could beat fellow high-flying Kettering Town. They won that game 1-0 in front of nearly 1,000 fans. In fact that season, and the one after that they averaged just over eleven. And then the game changed. Money came into the club, Steve Evans arrived as manager and the rest is history. Last season on their way to winning the league they averaged just over 2,500 at home. Quite how 9,000 then went to Old Trafford for the FA Cup 5th round tie is a mystery, especially as very few have ever been back. But will it surprise you to learn there are two other teams in Crawley? Three Bridges are stalwarts of the Sussex League, as too were Crawley Down until the end of last season where they clinched the county league for the first time and moved up the ladder into the Ryman League South for the first time. 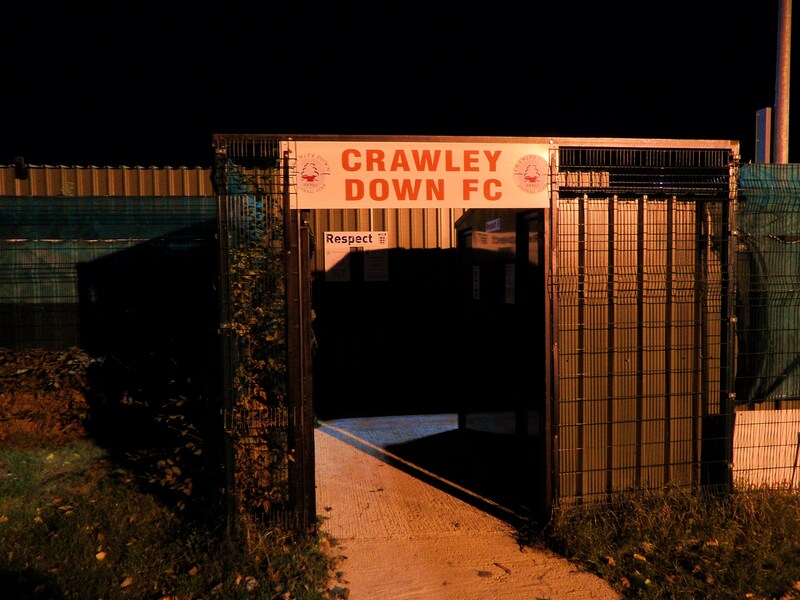 Perhaps those missing 6,500 people from Old Trafford call The Haven, home of Crawley Down FC home? Er no. Let’s not confuse the two Crawley’s. 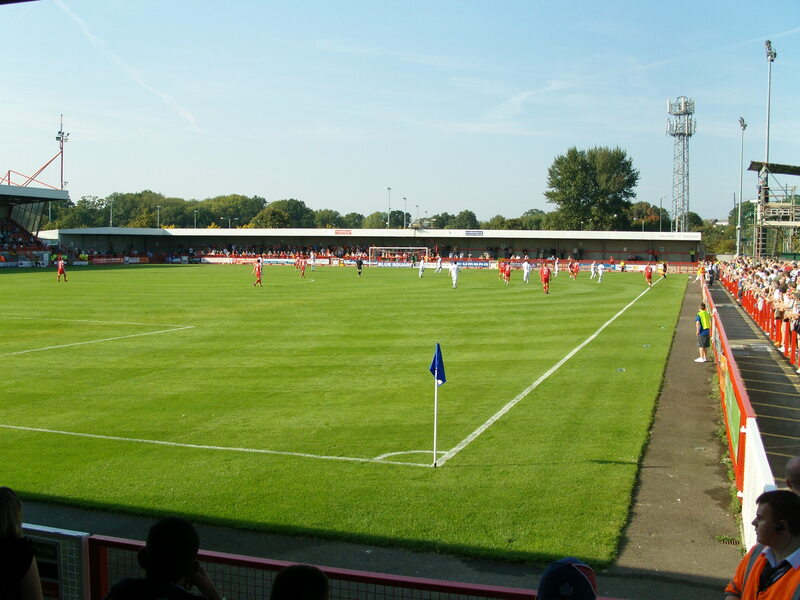 Crawley Down are located in a village the other side of the M23. Whilst they are modest in size, fanbase and ambitions, they are a proper non league club. Perhaps some of those missing fans should come and discover what real non league football is all about by a visit here. That is just what I was doing. It was to be a very historic night for The Anvils as well as visitors Lewes FC. This was to be the home side’s first ever outing in the Ryman League Cup, as well as Lewes’s first outing for nearly a decade. Who could miss such a game? Certainly not me. A location close to Gatwick was also very handy. I think I could claim the title as “the fan who travelled the furthest” when my plane touch downed at Gatwick Airport, just a few miles away but I don’t do this job for awards (unless you include those listed on the right hand side of this website). It was to be the first in a trio of cup games for Lewes in the space of just over a week with Cray Wanderers and Wick at home to follow in the FA Trophy and Sussex Senior Cup respectively. As a football fan we all want to see our club win something. I am still fiercely proud of West Ham’s 1999 Intertoto Cup triumph against Metz and have the T-Shirt to prove it. Lewes had had a week off due to the involvement of East Thurrock United in the FA Cup last weekend. Whilst most of the team had got to do what non league footballer do in their spare time (i.e act like normal people), one player was on trial. Quite literally. Christian Nanetti had been tracked by a number of scouts in recent weeks and had been invited down to the Valley to spend a week with Charlton Athletic. Would he come back a different man, with an agent and a stylist in tow? I looked up directions to The Haven on their website. Whilst it didn’t say “rural” it gave every impression that this would be a basic ground. It also said “ample parking”, so it was quite surprising when I arrived from a few miles of following country lanes that the car park was full. More and more cars were trying to gain entry and chaos was ensuing as it appeared all of the drivers were in their later years in life. I over heard some mutterings from the irate drivers about “bloody football ruining our Weight Watchers meeting”. I didn’t want to feel the wrath of a sixteen stone woman who was only eating a small breakfast bar so I parked down the road outside a smart house, which got all of the curtains twitching and I am sure a call to the local Neighbourhood Watch officer. Crawley Down 0 Lewes 4 – The Haven – Tuesday 18th October 2011 The Haven is probably one of the most basic grounds I have seen. Not in a bad way, but in a way where you just rubbed your eyes and wondered if you had come to the wrong place. Around 35 Lewes fans had made the journey up the M23 and seemed to outnumber the home fans 2 to 1. But the club made us all welcome. Cups of tea, served in mugs helped keep out the cold and home-made burgers, cooked to order provided sustenance for the travelling Rooks. That is what Non League football is all about. Manager Steve King put out a strong team, although our continued calls for Big Deaks to get a spot on the bench fell on deaf ears, and instead he only listed two substitutes. Max Noble, once on the books of Fulham until he “got a Hargreaves” started the game and looked to link up with Ciardini on the left. I had brought my keepers gloves just in case Notts County had recalled Liam Mitchell, but they said he didn’t have to come home just yet. The result was never in doubt from the opening exchanges. Lewes looked a team from the division above in all departments and if it wasn’t for some excellent saves from the Crawley Down keeper the opening goal would not have been delayed until the 25th minute when Paul Booth rose majestically to head home Ciardini’s brilliant cross. The returning Jamie Cade scored a second before half time before we retired to the ample bar to enjoy a fine pint of Doom Bar. It was a toss of a coin decision as to whether we returned to the game or stay in the bar in front of Man City v Villarreal. But a stirring speech from Cynical Dave about “Pulling ourselves together” “selling out” and “remember Hampton & Richmond Borough” brought us to our Non League senses. And we walked back into the ground just at the right moment as Ian Draycott scored the goal he really has deserved so far this season with a fantastic strike from the edge of the area. Noble added a fourth late on when he waltzed through the defence and slotted home, and in fairness it could have been more. The cup games come thick and fast for the Rooks now with an FA Trophy tie on Saturday versus Cray Wanderers and then the Sussex Senior Cup against Wick (Sussex not Scotland) next week. For me alas I will be at neither, having to endure a week of European Football. It’s a hard life sometimes. More pictures from the game can be found here.